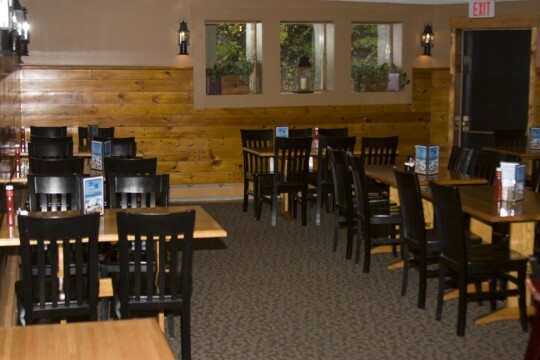 This rustic venue is perfect for large functions and work retreats. Nearly any seating pattern can be obtained in this spacious dining room amid rows of lanterns and accented with knotty pine. A projector and screen are available upon request for your lecture or photo gallery depending on your needs. The Captain’s Room tables can be arranged individually,in rows, or facing each other depending on your needs. This room will seat 60 people comfortably and should be reserved for parties between 30 to 60 individuals.